These 8x10 refills are to be used with the Pioneer APS-247 or Pioneer PAP-247 Photo Album. 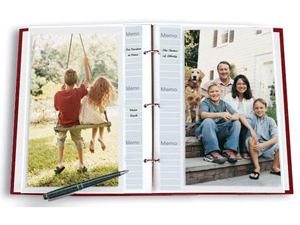 Includes 5 pages per pack (10 photos). 3 holes spaced 4-1/4" apart. These are 8x10 refills for the Pioneer APS-247 Album or the Pioneer PAP-247 Album.